I love 회덮밥. So much. Aren't the colors beautiful? Raw fish, rice, and veggies with some spicy sauce. 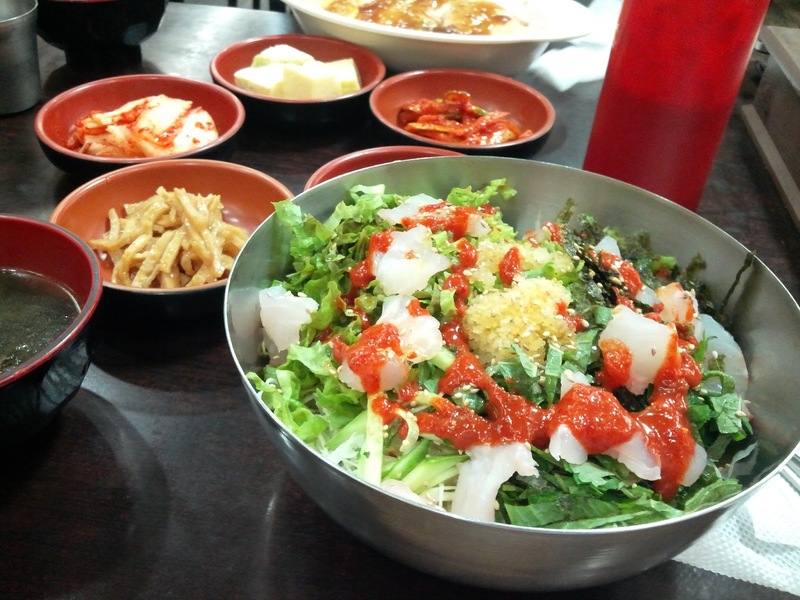 I had this near Nakseongdae station with HS. Not the highest quality, but still great and refreshing.